Mechanical : Mechanical & Automation / Mechatronics / Industrial & Production Engineering /Industrial Engineering / Mechanical Production & Tool Engineering / ProductionTechnology Manufacturing Engineering / Manufacturing process & Automation /Production Engineering / Power Engineering. MBBS Degree from any recognized University / State or Central Government Institution / Medical College recognized by Medical Council of India (MCI).Post qualification experience of one (01) year after completion of internship in reputed State / Central Government / Corporate / Industrial Hospital or Institution. Candidates with Post Graduate qualification in any discipline of Medical Science / Industrial Health without post -qualification experience can also apply . Born not earlier than 01-05 1990 (i.e. upper age limit is 27 years as of 01-05- 2017) . Upper age limit is relaxable by 5 years for SC/ST, 3 years for OBC (non-creamy layer) and 10 years of PWD candidates. Those domiciled in the state of Jammu & Kashmir from 1/1/80 to 31/12/89 will be allowed 5 years relaxation in upper age limit. years relaxation in upper age limit. 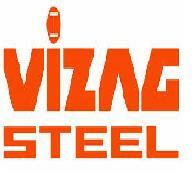 Eligible and interested candidates would be required to apply online only through RINL-VSPswebsite www.vizagsteel.comunder the link “Careers”. No other means/mode of application shall be accepted. Labels: allindia, apjobs, btech, mtech, tgjobs.